Participating in this year’s SAE Supermileage competition, a team of university students designed, built and drove a single-seat aluminum-shell vehicle that managed to get 2,098 miles out of a single gallon of gas. 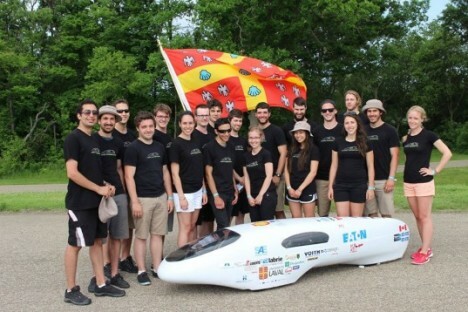 The winning team, from Quebec’s Université Laval, reengineered a previously-successful shell to reduce weight, increase fuel efficiency and optimize the electrical system. These alternations were based in part on a post-event analysis of the previous year’s winning team, improving on their already-impressive work. 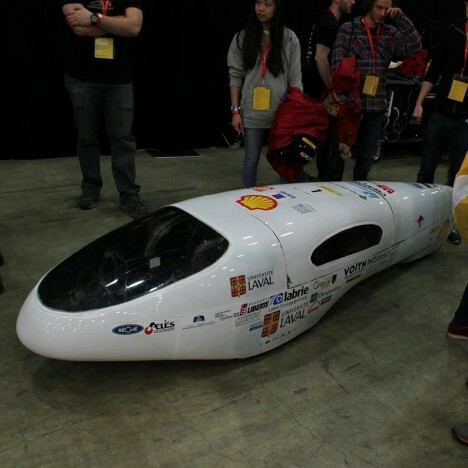 Running on just a single cylinder, the team beat the combination by far more than a mile – runners up managed to get over 1,000 MPG but none came within 600 miles of this winning design. The dozens of other contestants tried a number of tricks, including creating electric hybrids, but all will have to go back to the drawing board to come close to competing next year. See more in Cars & Trucks or under Transportation. September, 2015.